Brian Brooker is the founder of Brooker Engineering, PLLC, located in downtown Suffern. Previously he was the principal and founder of Brian Brooker Associates, which formed in 1983. Mr. Brooker is experienced in a wide variety of engineering design, including structural analysis and design, hydraulic analysis and design, and roadway and bridge analysis and design. In addition, he is the Engineering Consultant for multiple municipalities in Rockland County, New York and Bergen County, New Jersey. 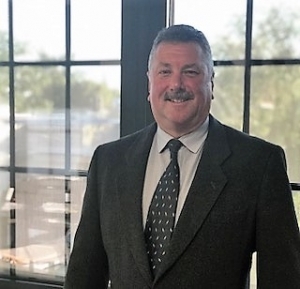 Mr. Brooker has designed and constructed hundreds of projects and prepared plans and specifications for municipal projects, including drainage, flood control, highway reconstruction, bridges, dams, etc., covering all aspects of municipal needs. Brian’s analytical skills provide innovative and creative strategies to each project he oversees. Ms. Mancuso has over thirty years of experience in land development and municipal engineering. She represents numerous communities as the municipal engineer providing consultation services to village boards, mayor and council, planning boards, and zoning boards of adjustment. She also provides design of a wide range of capital improvement projects, including roads and recreational facilities. Eve’s familiarity with the local laws and policies make her an asset to every community she consults with. 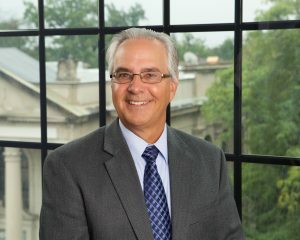 Mr. DeGennaro is an associate of Brooker Engineering with twenty years of experience in civil engineering, land development, site planning, and structural projects. However, his expertise is in hydraulic and hydrologic engineering. He specializes in LOMA and LOMR applications. Mr. Strow has over thirty years of experience in civil engineering, construction management, and real estate development projects. He also acts as the advisor for our entry-level engineers, providing engineering and technical support. Mr. Riggi is the manager of the structural department. He has accumulated over ten years of experience in structural and geotechnical engineering. He manages a wide variety of new construction projects, including residential and commercial structures as well as restorations and support of excavations. His projects include strip malls, low and mid-rise buildings, parking facilities, and mixed use facilities. Mr. Bezuyen currently serves as the head of our surveying department. He has over 40 years of experience in a broad range of surveying including construction stake-outs, boundary surveys, topographic surveys, flood plain determinations and right of way surveys and subdivisions. Mr. Patel manages a wide variety of new construction projects, including residential, commercial, and institutional structures as well as restorations, rehabilitation, and support of excavation. His projects include hotels, small bridges, low to mid-rise buildings, parking facilities, mixed-use structures, and multi-family homes. He has over fourteen years of experience in structural engineering and also acts as the mentor for our entry-level engineers, providing engineering and technical support. Mr. Rocks has thirty plus years of experience working on Site Engineering and Water Resources projects; as well as performing Municipal Engineering duties. Mr. Rocks enjoys working in a Team environment bringing the array of talent of the highly qualified Brooker staff together to provide thoughtful, responsive, and cost-effective design solutions in a timely manner. Mr. Moran has over 30 years of experience in Municipal government. He has been a department head for the last 10 years overseeing all functions of the Town of Orangetown Department of Environmental Management & Engineering as the Commissioner between 2011 and 2018, and overseeing all functions of the City of Yonkers Engineering Department as the City Engineer between 2008 and 2011. His most recent duties included budget preparation and supervision of a staff of 42 employees to operate and maintain a 13.0 MGD Wastewater Treatment Plant, 47 pump stations, and 200 miles of sanitary sewers. He also oversaw and managed capital improvement projects for all town departments including drainage, roadway and bridge work. He has extensive experience administering and managing multi-million dollar projects throughout the NY metropolitan area from conceptual design phases through construction to final contract closeout. This included the preparation of contract documents, construction inspection and contract management. Mr. Moran has effectively interacted with regulatory agencies, government officials, consultants, contractors, collective bargaining units, employees and the public.